This used car has got a Diesel, 2499 CC engine and Automatic gearbox. On offer in the shade of Red with 92000 miles clocked up on the dashboard. Want to purchase this car? Visit Aee Motors Ltd in the Harrow area right away. Available from our showroom in the Gravesend area is this almost pristine, like new, low mileage Isuzu with a Automatic transmission and 1.9 L Diesel engine. Priced so low, this low mileage, like new D-MAX MPV might not be on offer for that much longer. 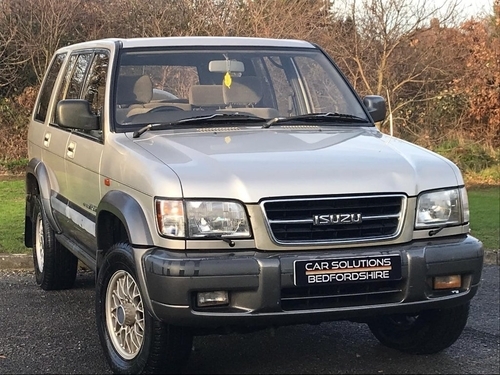 With a Diesel 1898CC motor with Automatic transmission and with a mere 4470 miles on the dashboard, this Grey 4 door Isuzu can quite easily be mistaken for a brand spanking new vehicle. This D-MAX Pickup is available for sale from G&M Motors in the Gravesend area priced at only £20,000 - or alternatively you could opt to buy with monthly instalments starting from only £461.40 per month. Find out more about this motor and discover what your credit options are by talking to the team at G&M Motors. This TROOPER 3.5 V6 CITATION 4X4 available from Car Solutions Bedfordshire at £1,850 has 165000 miles on the dash and is available in Multicolour. Just visit the friendly team at Car Solutions Bedfordshire to find out what more this motor has on offer. 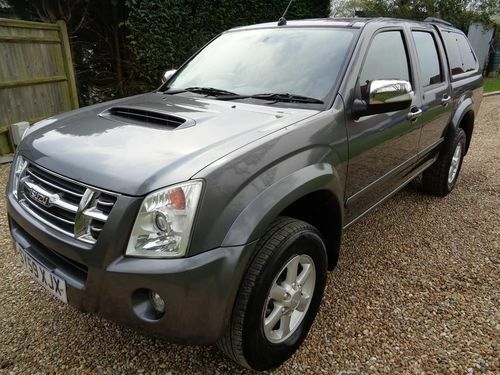 On offer and available to drive home is this Pickup vehicle in Grey; it features Manual gearbox, a 2.5 ltr Common Rail Diesel engine and has clocked up 78000 miles. In case you're trying to find a finance deal, search no further. We've got a variety of finance options to offer. Visit or call us! 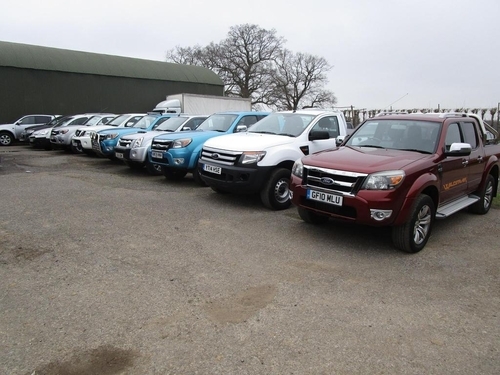 On offer is this Isuzu D-MAX with a 2499CC Diesel motor and Automatic transmission. This second hand model has low mileage. This used car is in Royston. Call or email Mantles to enquire about having a test drive in this Isuzu D-MAX. 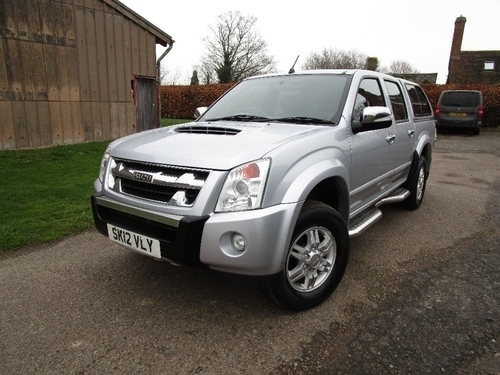 This Silver Isuzu RODEO features Manual transmission, a 3.0 ltr Diesel motor and has got 100000 miles clocked up on the dash. It is currently on the market and ready for you to drive away for the total cost of only £9,995. This RODEO 3.0 CRD DENVER MAX PLUS CREWCAB PICKUP is located in Royal Tunbridge Wells. However, this dealership may be able to deliver to where you are. Get in touch with them to find out more. With 77000 miles clocked up on the dashboard and painted in Blue, this motor features Manual transmission and a 2500cc Diesel motor. It may be a great choice to make if you'd like a second hand model of this particular car at a bargain price. Just get in contact with a member of their expert team. 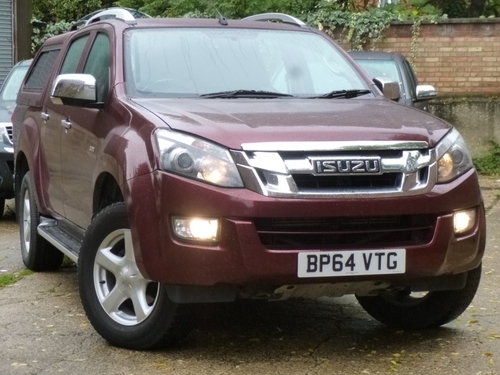 Available for viewing at our dealership located in the Haslemere area is this Isuzu D-MAX containing a Diesel, 1.9 ltr engine and Automatic gearbox. It's in an almost flawless, like new condition throughout and is on the market in a White finish with a mere 2000 miles on the clock. At the low price of only £26,000, this D-MAX is likely to sell very fast. This highly sought after Pickup comes with a [fuel], [engine-size-ltr] Ltr engine and [transmission] transmission. It is in a nearly new, almost flawless condition both in the interior and exterior and is on the market in Red Spinnel with just 50 mi clocked-up on the dash. Also, this vehicle from Proven Motor Company - Isuzu in Haslemere has the added bonus of its full service history. Arrange an appointment for a test drive with this dealership's experienced team to find out what affordable repayment options are at hand on this Isuzu. 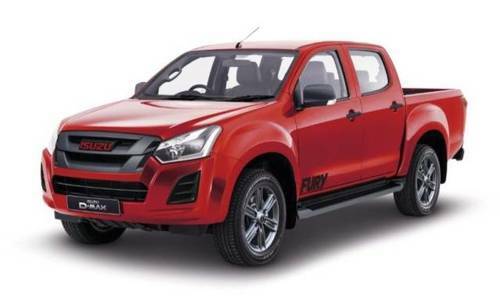 Test drive this trusty D-MAX 1.9 FURY DOUBLE CAB which is ranked amongst Britain's top 10 reliability index. This second hand model is in near mint condition throughout with 50 miles on the dash and it also comes with its full service history. Get this car. It's on offer and ready for you to drive away in Haslemere. Buy it with a no deposit loan. Just get in touch and find a repayment plan that suits your requirements. 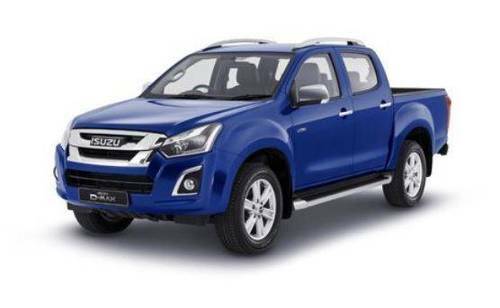 Become the next owner of this Isuzu D-MAX 1.9 UTAH DOUBLE CAB that incorporates a ltr engine and transmission. This second hand one from our dealership in Haslemere comes finished in Sapphire Blue and has 50 miles on the dashboard. 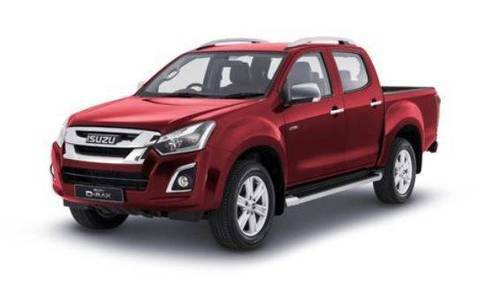 Become the privileged new owner of this Isuzu D-MAX - don't hang around, get in touch with our dealership at your earliest convenience and secure this vehicle right away. 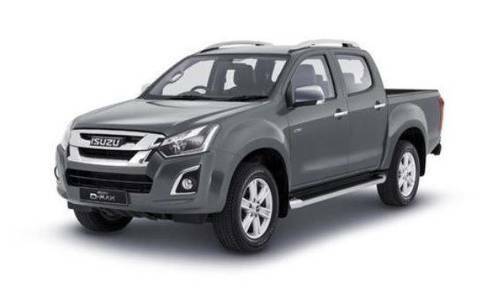 There's a fantastic price of just £25,037 on this Isuzu D-MAX 1.9 UTAH DOUBLE CAB at Proven Motor Company - Isuzu. It's second-hand, but in an excellent, like new condition. 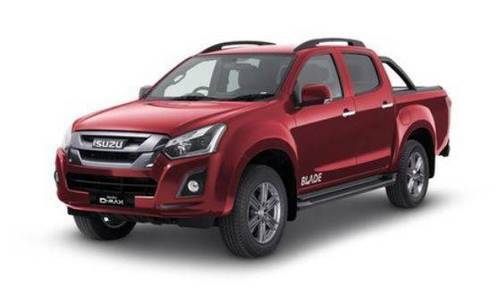 Instalment plans start from only £577.61 monthly for this Isuzu D-MAX. Simply contact Proven Motor Company - Isuzu to find out more. This dealership in the Haslemere area is currently advertising a bargain price of only £26,084 for this D-MAX that has an excellent track record for dependability. This particular model has a [engine-size-ltr]L [fuel] motor, [transmission] transmission and has a mere 50 miles clocked-up on the dash. To discover what finance options are available, visit the helpful finance department at Proven Motor Company - Isuzu in Haslemere. On offer and ready for you to drive away is this motor for the total of only £279,589. This dealership in Haslemere also offers you the option to purchase using manageable monthly repayments with instalment packages starting at only £6450.19pm. Call or visit to have a chat with their friendly team. This second hand car is now on offer at the great price of only £279,589 or with the possibility to purchase using reasonable payments starting out at £6450.19 pm. 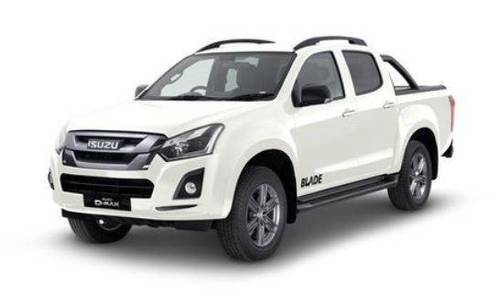 For the total cost of just £28,985 is this best selling Isuzu D-MAX 1.9 BLADE DOUBLE CAB incorporating [transmission] transmission with a [engine-size-cc]cc [fuel] motor. This second hand low mileage one from our dealership comes finished in White Pearl and only has 50 miles on the clock. This motor is on the market right now. Be quick and have a chat with a member of the friendly team at Proven Motor Company - Isuzu to determine what credit plans are at hand and get one that's tailored to your needs. Instalment offers commence at only £668.69 per month. 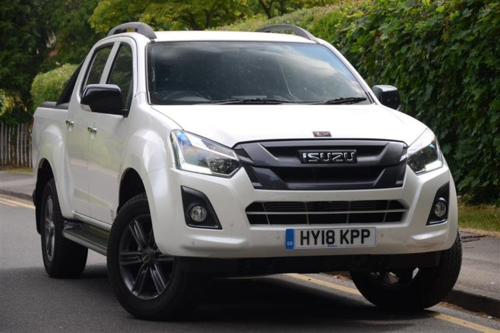 Containing a 1898 cc Diesel motor and a Automatic gearbox, this Isuzu D-MAX is on offer in a White finish and 2000 miles clocked-up on the dashboard. Check out this supplier right away to discover this motor in person. Showing 1-18 of 275 items.